A regent is someone who rules for somebody else. Usually it is an uncle or mother who rules for a child. Maybe the child is too young to be king. Or maybe they’re ruling for a mentally disabled king. The regent rules only until the child is old enough to take over. (Though sometimes the regent doesn’t act this way. Instead maybe they kill the child or tries to keep ruling even after the child grows up). 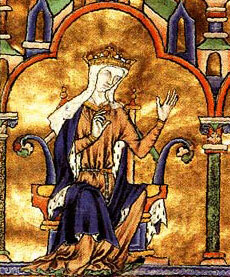 Some famous examples of regents are Agrippina, ruling for her son Nero, Theodoric the Ostrogoth for his grandson Amalaric, Wu Chao, ruling for her son, Theophano ruling for her son Otto, Blanche of Castile ruling for her son Louis, and John, ruling for his brother Richard the Lionhearted. 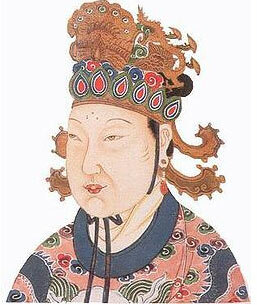 Being regent was a good way for women to get power in countries where women couldn’t officially rule. Many women said they were ruling for their brother, their son, or their grandson, but really they ruled for their whole lives if they could, even after their children grew up and could have ruled themselves. Cite this page: Carr, K.E. What is a regent? Kings and Queens. Quatr.us Study Guides, August 3, 2017. Web. April 26, 2019.